We often find ourselves with a surplus of summer squash and zucchini in the summertime. We have a tasty solution to the dilemma with easy veggie roll-ups. 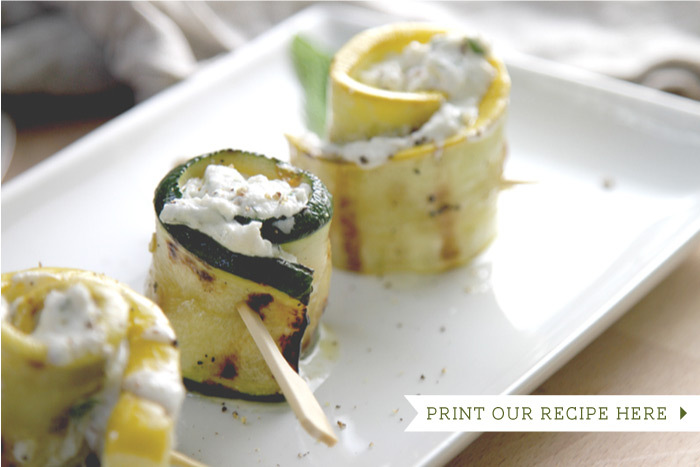 Cut the zucchini and summer squash into long slices, grill, spread with herbed ricotta, and roll them up! You'll find these roll-ups fast to prepare. Serve these tasty bites as an appetizer, or even as a main dish. 1. 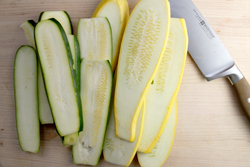 Cut the summer squash and zucchini into long 1/4” thick lengthwise slices. 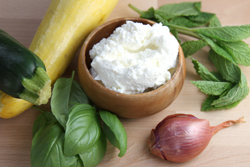 Brush both sides with olive oil, sprinkle with kosher salt and pepper. 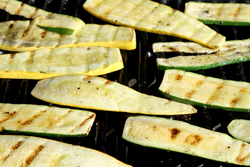 Grill the slices over medium-low heat for 3-4 minutes on each side, or until softened. 2. 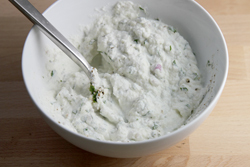 Mix the herbed ricotta filling by combining all ingredients in a small bowl. 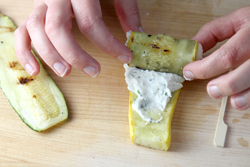 Spread a tablespoon or two of filling on each of the grilled slices. 3. Carefully, roll up the slices, and secure with a toothpick.